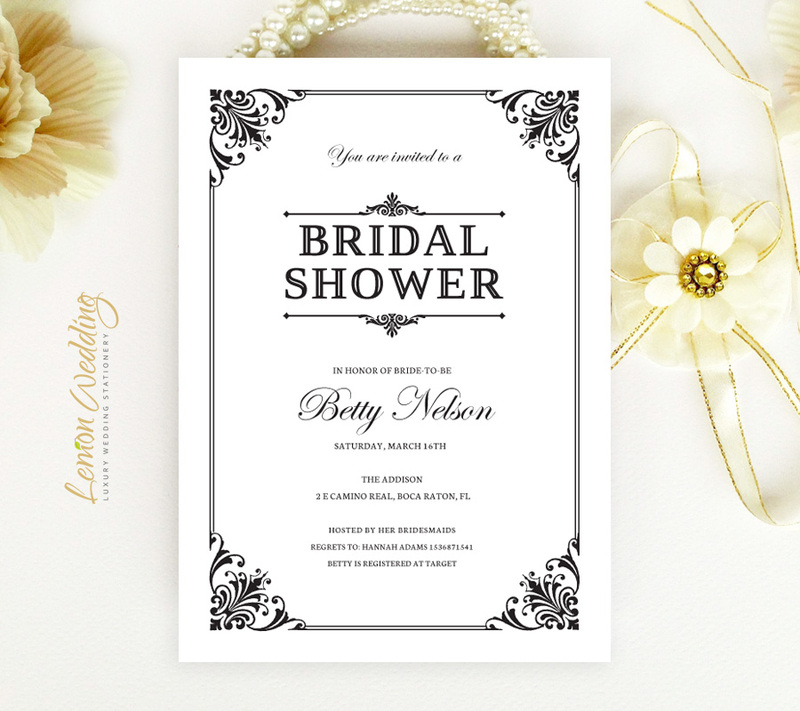 Tell your guests all about your bridal party celebration plans with our Traditional Black and White Bridal Shower Invitation Cards. Our invites will announce the details of your upcoming celebration in the most sophisticated manner. 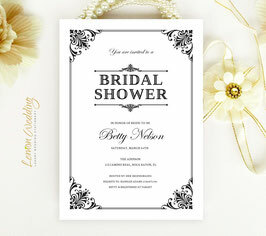 Decorated with an ornate border, these cards are printed on premium cardstock and features a lovely font.